Why craft an award winning description, a gorgeous video and a brilliant logo if no sponsor ever gets to know about your event? This would be nothing but a terrible waste of resources! 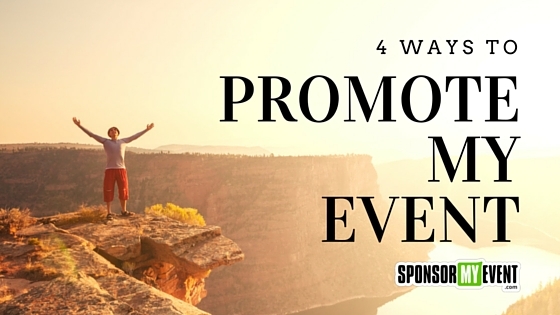 Many organizers ask us: how to promote my event? The answer: you need to shout it out. And you need to shout it out loud! We at SponsorMyEvent propose incoming events to matching sponsors, but naturally we cannot (yet) have all the sponsors in all corners of the world. So you need to be proactive as well. That’s why within SponsorMyEvent we have created powerful tools that help you to promote your event to sponsors which are not yet on SponsorMyEvent. But keep in mind that this tool cannot completely take away your work. And your work is to get in touch with sponsors. We are often asked from organizers what they can do to reach out to sponsors. There are in fact numerous ways and not every way may apply for every type of event. But still there are some common channels that no organizers should leave untested. 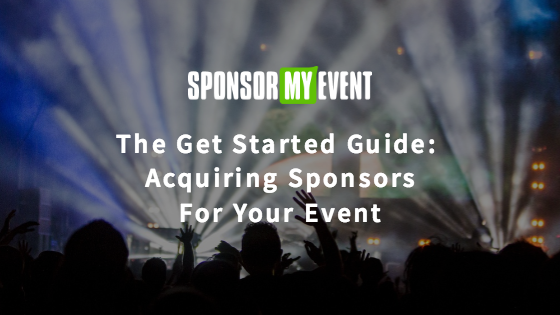 So you’re organizing an event and need sponsors? Take a pen and write down the first ten names of companies that you might think they would be interested to sponsor your event. You see? It’s not that difficult. You’ve probably even found some additional names without spending to much thinking on it. Now take your list again and write the name of a contact person next to the name of the company. If you have a contact person, then we can suppose that you also know how to reach out to that person. So next to that name, write the email address, phone number or other way you may contact them. Some companies will remain blank as you don’t have any contacts there. But if you think twice you should easily be able to find someone who knows someone there. Reach out to your contacts and you’ll be surprised, these people should be able to help you fill in the last gaps. LinkedIn can also be a helpful way to reach out to the right people. If you need the contact details of key people within a company, you may as well try Data.com. Now you can start contacting these people. 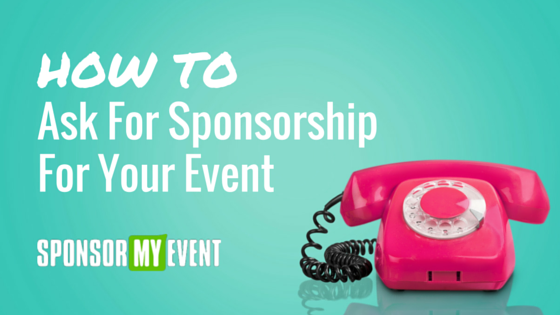 SponsorMyEvent helps you contact sponsors by letting you import their email-address so that we can send a tailor-made proposal to that sponsor. The content of the mail can be customised by you so that you can personalise each email. But sometimes it’s also preferable to call the sponsor prior to sending an email so that the mail doesn’t arrive out of the blue. It’s up to you to decide what the best approach for you and your event. No, we’re not speaking about Facebook (that comes later), we are speaking about your contacts, the people you know. Let as many people as possible know about your event and ask them for help. Not everyone will lend a helping hand, but your efforts will be rewarded if from ten friends at least one gives you a promising contact. You really have to be a sales person to find most needed contacts. This will pay off. Add the new contacts to your list and contact them just as described above. You may even already have a list of sponsors from past events. In this case you can import the list to SponsorMyEvent and shoot out emails to these sponsors. But remember that it might be useful to customise the proposals for each sponsor or at least for groups of sponsors. The better you prepare and customise these mail-outs, the higher the return will be. And don’t forget that it’s not only about writing an email. It has to be a killer sales mail. Of course you should not leave the social-networks aside. Use them to your full benefit. You have an event profile on SponsorMyEvent that you can easily share on various social-networks from within SponsorMyEvent. You can also copy the URL of your event profile and manually share it with your contacts and by adding a custom message. No matter how you contact your prospects, never forget that you want something from them. So be polite, concise and don’t waste their time if they make it clear that they are not interested. As with everything that you share on social networks, you should be active in promoting it. Ask friends to share it so that you can maximise the outreach. In certain cases it may also pay off to run ads (i.e. on Facebook or on Google Ads). Depending on your targeting this will not cost a lot but might bring some valuable contacts. 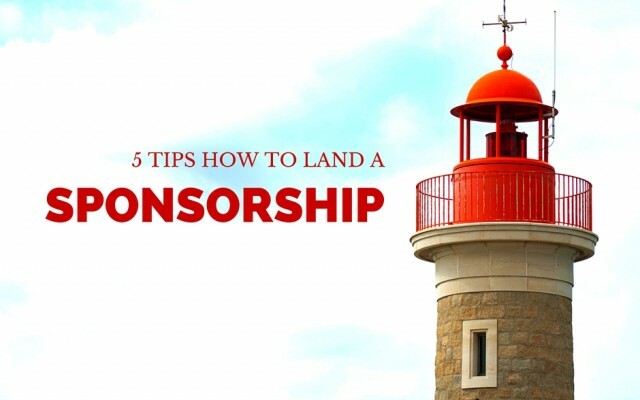 Sponsorships are often come to life out of interaction between the organizer and the sponsor. Thus SponsorMyEvent helps the negotiation-process by providing an internal messaging system and the possibility to create tailor-made proposals for sponsors. Never forget that you are in a sales cycle. You want to sell your product (your event) to a client. So please apply the same sales strategies as you would apply when selling something else. Therefore it can be nothing but useful to read some tutorials about how to sell. You will find countless resources on the internet that will help you to become your personal sales-champion!